If you have not read my coverage on Seven Seas #DontWorryMom Campaign Launch @ Kidzania the other day, remember to read it here. Children tend to suffer nutrient deficiency for various reasons during their childhood. Nutrient deficiency is common in children as they have fads with food, are fussy eaters or have poor appetites. Their bodies tend to lose out on important nutrients due to this. Both my kids have been staying indoors most of their lives, with a short stint outdoors on weekends, or the occasional dinner. Hence they're not very exposed to the outside environment and world. Sometimes even the slightest cough or sneeze from a kid outside, and they come back with the flu. Therefore, supplementing their diet with vitamins and minerals are important to ensure that they grow and stay healthy. 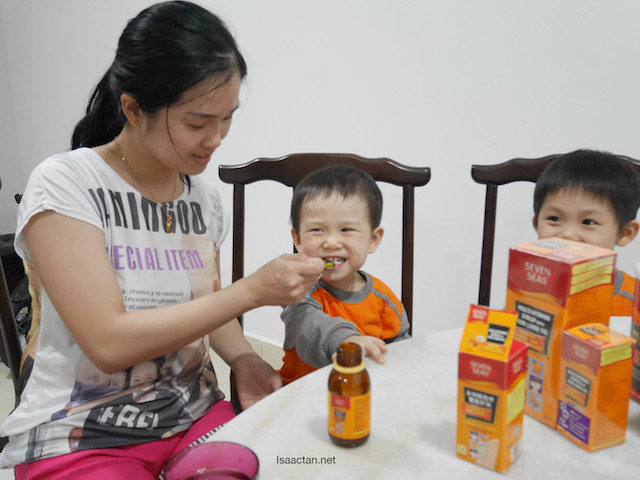 As such, Seven Seas has developed a range of nutritional supplements to meet the needs of children and to provide them with everything needed for a healthy growth and development. Each product is uniquely formulated to support a child’s body, helping them grow and develop well every day. Let's go through a couple that I've gotten recently for my kids, shall we? 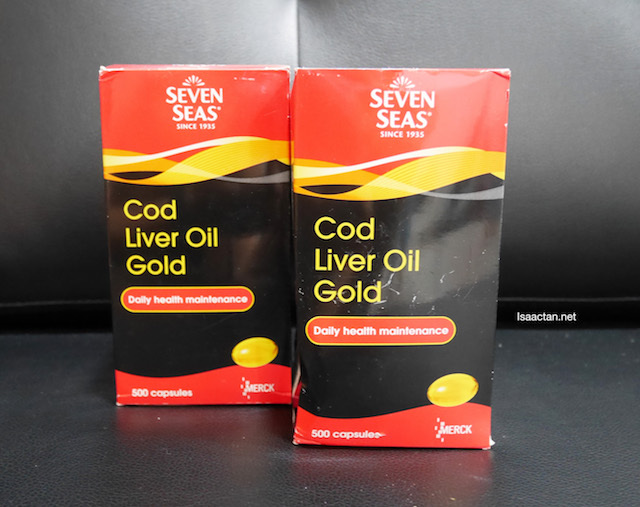 Seven Seas Multi-Vitamin Syrup with Cod Liver Oil contains a combination of 8 essential vitamins and DHA to provide the nutrients to help support optimum growth and the development of a strong, healthy immune system. The syrup itself is very appetizing for the kids, they love to slurp it down! Not only does it help to build stronger immune system, I've read that it helps with the development of strong healthy bones, and contribute to their brain development too. So many benefits! Seven Seas Kids Probiotic Multivitamin contains 12 Vitamins, 3 Minerals and TriBion Harmonis, a unique combination of three probiotics that improves your kid’s intestinal microflora and helps to strengthen their natural immune defences. Provide your kids with the essential nutrients for a healthy growth and development! Martin loves his Seven Seas multi-vitamin syrup too! 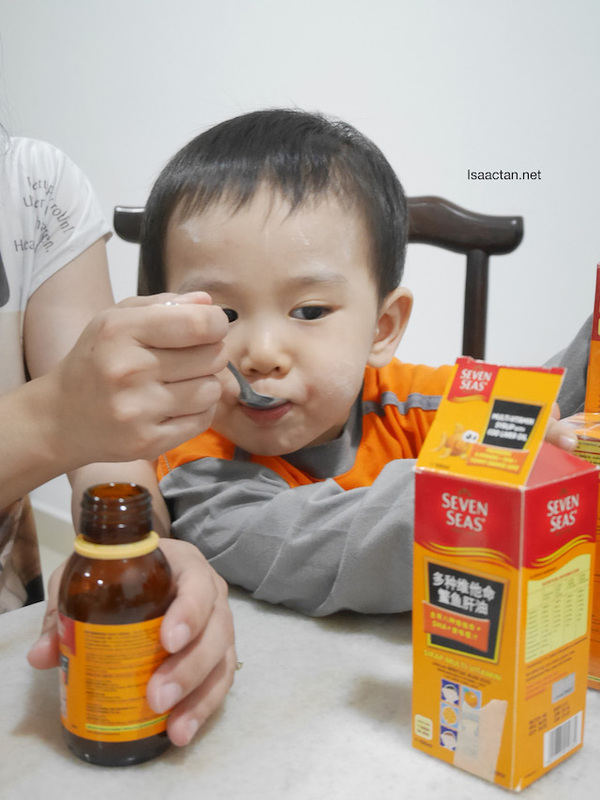 Seven Seas, one of the health supplement brands under Merck, has pledged to contribute RM1 for every unit of Seven Seas Kids products sold between 1 April to 30 June 2016, in support of the #FreeCanteen programme. Now we can do our part for charity just by purchasing their products. With more than 80 years experience, Seven Seas understands the nutritional needs of families at different stages of life. Backed by scientific expertise and high standard of excellence, an extensive selection of nutritional supplements has been developed to meet the needs of children and provide them with nutrients for healthy growth. Check out their video below! For more information on Seven Seas Malaysia and its product, do check out their official Facebook page at www.facebook.com/SevenSeasMalaysia . 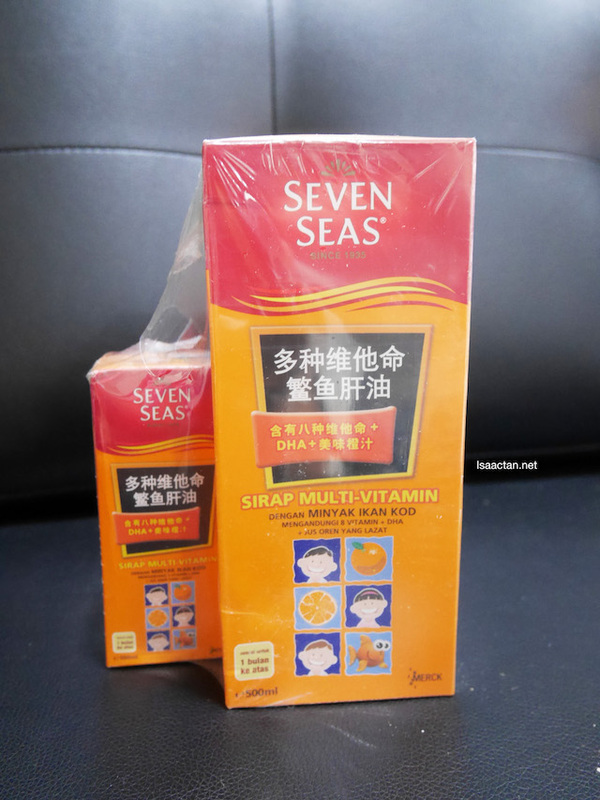 Seven Seas Multi-Vitamin Syrup with Cod Liver Oil suitable for my children. I should get 1 soon. My kids have never tried this. I should get some soon. My mum and sisters are using Seven Seas too for my nieces and nephews. I remember I used to eat cod oil supplements too!! But I hate the smell. hehe My mom always tell me it's good for me! Kids nowdays should eat supplement to increase their antibody. the first pic of the boys, super cute, like can be child models, it's really important to give the kids vitamins for supplements knowing they won't ever get enough nutrition from daily meals. I love the first photos you take for your two cute boys! Kids nowadays need more extra nutritional supplements to support they daily meals hehe! I use to drink these kind of nutritional supplements too! I used to take Seven Seas in my childhood and now my kids also take. The brand has rich history. Fish oil is good and important nutrition. it's good for kids' development too! 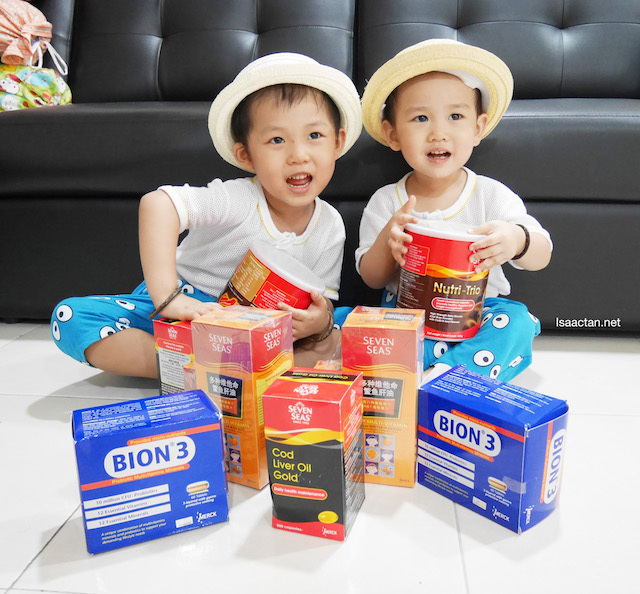 Supplements definitely help in the growth of kids and ensuring they are healthy. It's great that they are enjoying it!! I remember as a kid we used to eat it daily and my kids are not taking these yet but other multivitamin.